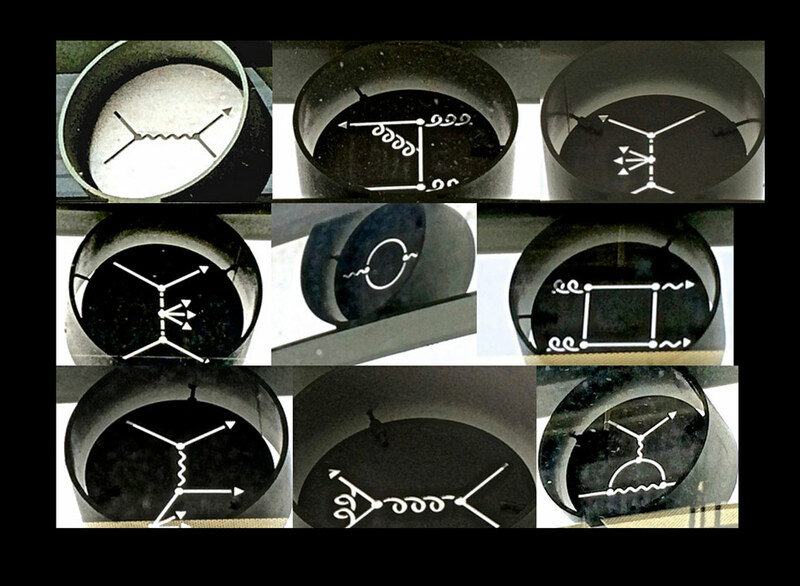 [ET's Feynman diagrams are] "Art, science, authenticity, precision, beauty, insight." — Chris Quigg, theoretical physicist at Fermilab, author of Gauge Theories of the Strong, Weak, and Electromagnetic Interactions. 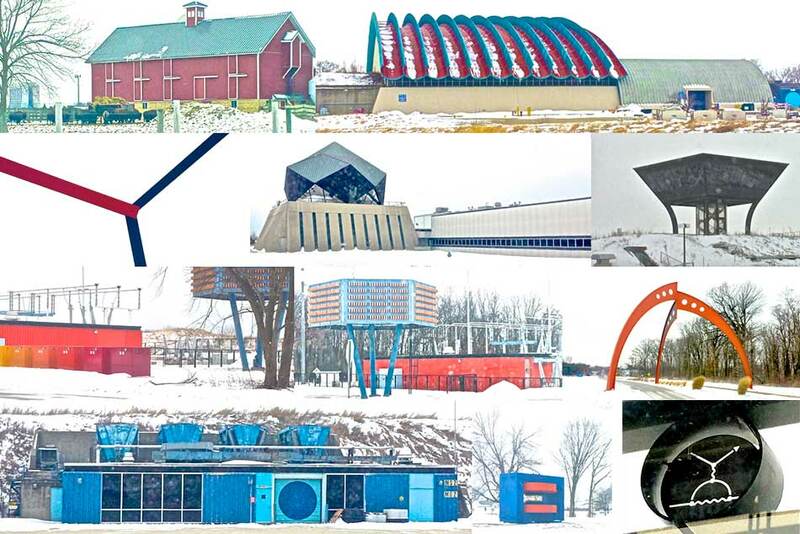 ET's stainless steel Feynman Diagrams are installed at the new World Trade Center building, Fermilabs, Hogpen Hill Farms, and in many private collections. A current exhibition is at the Williamson Gallery, ArtCenter College for Design. Planning in underway for an exhibit at the Nobel Museum in Stockholm honoring Richard Feynman's 100th birthday. Price list for Feynman artworks and prints. 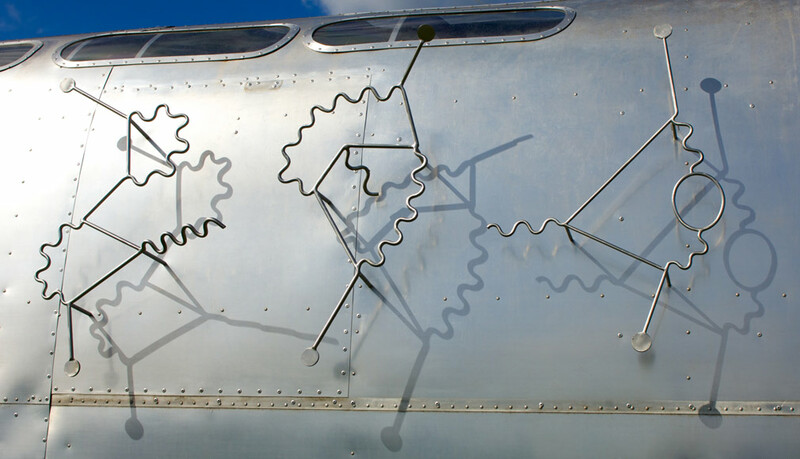 32 new stainless-steel Feynman diagrams by Edward Tufte at Fermilab. lepton lines propagating in a weak magnetic field." exhibit The Cognitive Art of Feynman Diagrams, which will close on June 26.
and Brad MacDougall. Thanks to Chris Quigg for pointing out PRL paper. Fermilab Art Gallery, Fermi National Accelerator Laboratory, April 12 - June 26, 2014.
who actually know how Feynman diagrams work! Below, here is the 16-page exhibit catalog (PDF), with a paper edition for the exhibit at ET Modern. of the exhibit essay now published as a pdf (above) and also in paper. stainless steel based on my templates and consequent editing of the steel. the Rocket Science #1 and Rocket Science #2 sequence. intelligent extra-terrestrial life may well know all about them. On this point, see the Pioneer Space Plaque Redesign. in Beautiful Evidence, pages 76-77 shown below. 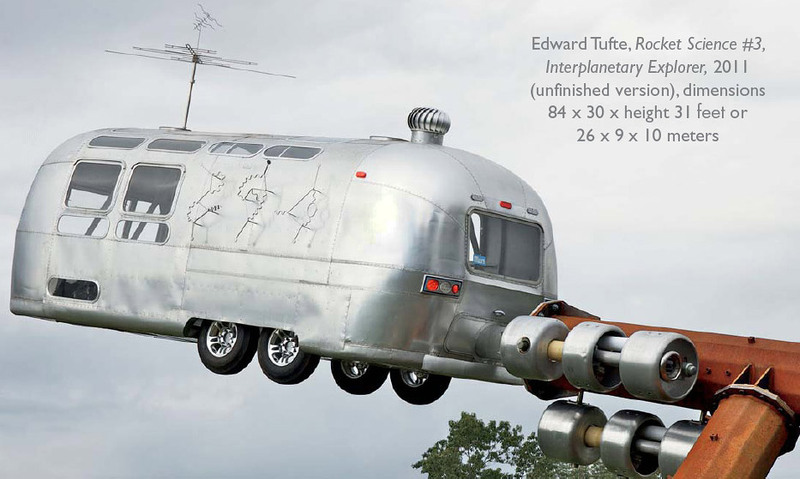 used on the Airstream Interplanetary Explorer. intriguing design permutations and optical experiences. Edward Tufte's major exhibit, All Possible Photons: The Conceptual and Cognitive Art of Feynman Diagrams, 16-page exhibit e-catalog.